Is it time for new tires? If you notice tread wear, bulges and blisters, cracks on the sidewall, vibration while driving, or if your tires are six years old, you should start shopping for a new set. Having a great set of tires is vital to effectively grip the road and maintain control, especially when inclement weather arises. It’s important to inspect the tread of your tires at least once a month for problematic signs, or at the first sight of uneven wear. The easiest way to check tire tread is by inserting a penny upside down into your tire’s groove. If you can see the top of Abraham Lincoln’s head, the tread is over-worn. 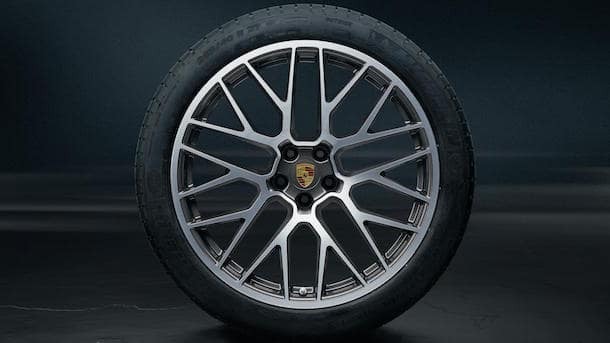 If your Porsche model is ready to receive tire service, it’s necessary to purchase tires that are reliable for all of your adventures though Los Angeles. 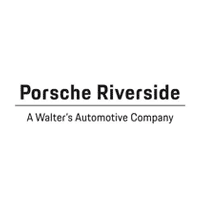 To find the perfect set for your Porsche vehicle, use this downloadable PDF Tire Guide courtesy of Porsche.com to see which is the best tire for your make, model, and year. When following Porsche’s convenient summer tire guide, you’ll find that each Porsche model has different tire recommendations. If you’re the driver of a Porsche Macan model from 2014 and on, you’ll have a wide variety of tires to select from to suit your wheel size. Whether you’re cruising in 18, 19, 20, or 21-inch wheels, you can choose from multiple popular makes such as Pireli and Michelin. 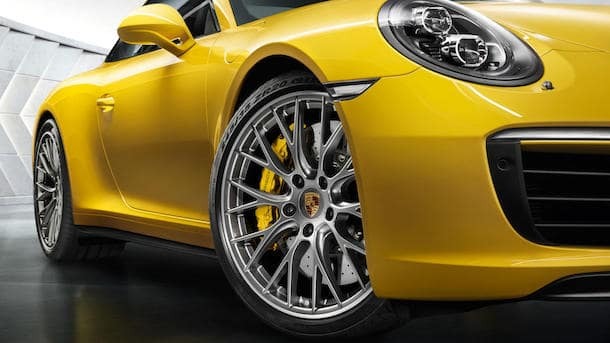 If you’re the owner of a Boxster or Cayman vehicle from 2005 through 2008, however, it’s recommended for your 17, 18, or 19-inch wheels to take on tires from brands like Continental and Bridgestone. When it comes time to gear up your Porsche model with a new set of summer tires, head on over to our service center near Los Angeles. Our team of trusted technicians will have your vehicle cruising smoothly on the streets in no time! If you have any questions or comments about choosing the right tires for your Porsche model, don’t hesitate to contact us at (877) 626-5860.